We provide a high quality and comprehensive service for people over 70, specialising in the treatment of falls, heart failure and movement disorders including Parkinson’s disease. We also offer general assessment for other conditions, including dementia. We provide a high quality, comprehensive, needs-led service service for older members of our community specialising in the treatment of falls, stroke, Parkinson’s disease, continence, dementia, heart failure and palliative care. We see medical patients of all ages admitted via accident and emergency and have responsibility for ongoing hospital care on general, stroke and rehabilitation wards. There are two-day hospitals for assessment and ongoing treatment as day cases within the Trust. We work across three hospital sites and a number of community settings. 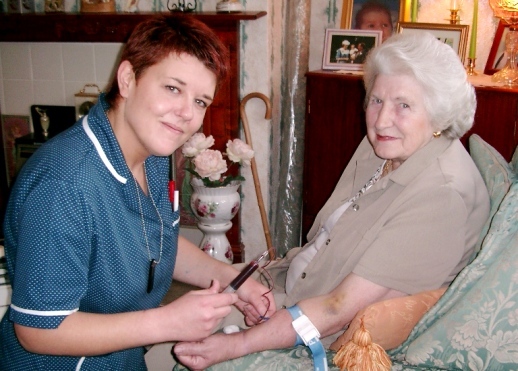 Provided at: City Hospital and the Sheldon Block (rehabilitation) Sandwell Hospital, Rowley Regis Hospital (rehabilitation), Leasowes (intermediate care in Smethwick) and Ryland View Nursing Home (palliative/continuing care in Great Bridge). We provide most inpatient services for stroke and TIA (transient ischaemic attack) including rapid access TIA assessment and stroke thrombolysis. Orthogeriatric care is provided on a daily basis to the orthopaedic wards. We provide a referral-based service to other hospital speciality areas. There are a wide range of outpatient clinics on different sites to allow assessment and treatment of patients. We continue to develop these in partnership with the local primary care trusts. There are two day hospitals – one at Rowley Regis Hospital and another at City Hospital in the Sheldon Block. There is a clinic-based assessment and treatment centre at Sandwell Hospital. The day hospitals are bases for many of the specialist clinics and also provide on going outpatient rehabilitation.